There are so many moving companies in Nashville, how do you choose who to use? While not all moving companies are created equal there are some things you can look for. Movers who care about there customer! That’s what it all boils down to really. A company can have the best website the best office staff but if they are sending out guys who don’t care about their customer, well all that other fluff won’t make a bit of difference. So how do you figure out who’s got the best movers? Honestly, reviews! When customers are pleased with the job their movers have done most of the time they don’t take the time to write a review, I know that’s brutal but honest. 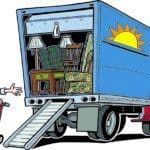 Now if a customer is upset about their move or has had a bad experience with a company the internet is their first stop, they will want to scream from the roof top what a horrible job those movers have done. You can use this to your advantage, is the biggest complaint that the movers were 15 minutes late, or did the movers disrespect them? You can tell a lot about your movers by what people are complaining about. So keep in mind when reading online reviews of moving companies in Nashville. For every upset customer there are likely 20 happy customers. This may seem to muddy up the waters but not really. Try this, read the reviews and take notice, if you are reading negative reviews, did they all happen in a certain time frame and then the reviews started getting positive again? This likely means they had an employee that was not meshing well with customers and have since replaced that employee. Also, read the reviews and look for key words that tell you the review is authentic, did they use the movers name? Was it all good or was it real? Moving is stressful, so most of the time you are just happy to finally be done with it. 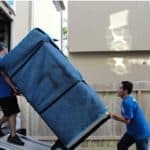 If you have had a great experience with a local moving company, go out there and tell everyone about it. Reviews are by far the number One best marketing tool a mover can use. Most of the time when you go to the internet to start looking for a mover you will end up on yelp, well yelp is not really as honest as it’s cut out to be. If the company you are looking at doesn’t advertise on yelp, their positive reviews will be hidden behind the filtered reviews section. Take the time to read the reviews that are being filtered and get a real feel for how customers truly feel about these movers. The office personnel is very important as far as scheduling, customer service, making sure your movers show up on time, etc so don’t completely disregard this area of the company. You want a professional mover so that you get good, clean trucks that have all of the equipment those movers need to do a good job. If you are new here, well, welcome to Nashville! If you are already one of us, then you already know Nashville is the best place on Earth to live.